Beware. 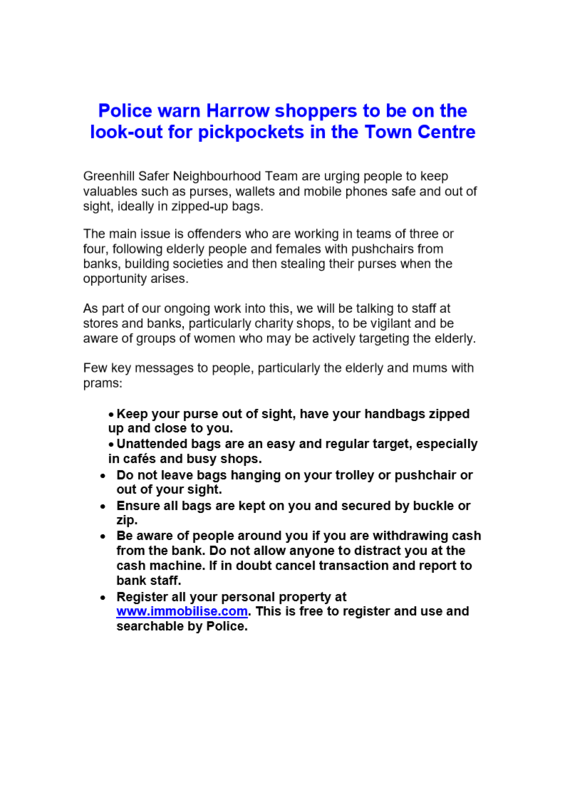 Pickpockets in Harrow Town Centre. Next Next post: Road works on Chapel Lane, Pinner!